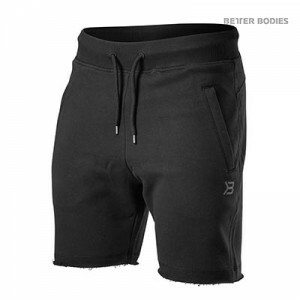 A pair of shorts that keep you cool even when the workout is hot? Sure! The airy mesh fabric of the Harlem shorts has great breathability and will allow a full range of motion. They have a drawstring at the waist for a perfect fit and a pocket with a zipper to keep you keys and phone safe. Lightweight, loose fit performance shorts that will keep you dry and comfortable at the gym or on the track. Designed to keep you cool and comfortable, the fitted Men’s Boxer features a Better Bodies performance waistband and is made of lightweight stretch fabric allowing for easy 4 way mobility. The next to skin fabric wicks sweat and dries quickly.